Porcelain veneers, sometimes called tooth veneers, can be used to correct both colour and shape problems and make for a great smile makeover. Often an alternative to crowns, veneers are very thin pieces of specially-shaped porcelain or plastic that are glued over the front of your teeth with little or no anesthesia needed. They are the cure for teeth that are severely discoloured, chipped, have small holes or pits, misshapen or crooked, or for the correction of unwanted or uneven spaces. Unlike crowns, veneers won't require the dentist to remove much of the tooth itself in most cases. It is important to ask your cosmetic dentist how much tooth will be removed. In some cases more tooth will need to be removed, which may increase the risk of trauma to the tooth. Veneers are created from an impression taken in your cosmetic dentist's office. Your custom veneer is then glued directly onto your tooth. Typically costing less than crowns, veneers won't stain, making veneers a very popular solution for many people seeking that dream smile. Strong and very durable, veneers last from ten to fifteen years, and come in colours that will brighten dark teeth without the worry of them changing colour. In your first appointment, it is important to initially discuss with your cosmetic dentist that you will want to "try in" your veneers with temporary cement that is the same colour cement as will be used for the permanent attachment. During this "try-in" phase, be sure to look at your veneers in natural light in addition to the office light. Teeth are prepared for veneers by lightly buffing to allow for the small added thickness of the veneer. Veneers are thin like contact lenses, and will usually only need tooth reduction of 0.5mm to 1.0mm. If a drastic change is being made for the result you want, reduction may be 1.0mm to 2.0mm. Your dentist will place the veneers with water or glycerin on the teeth to verify their fit and the shade or colour. The colour cannot be changed after the veneers are adhered to your teeth. The tooth is then cleansed with chemicals to achieve a durable bond. Once the glue is between the veneer and your tooth, a light beam is used to harden the glue/cement. If you're looking to improve the appearance of your teeth, dental veneers and an effective and relatively non-invasive option. 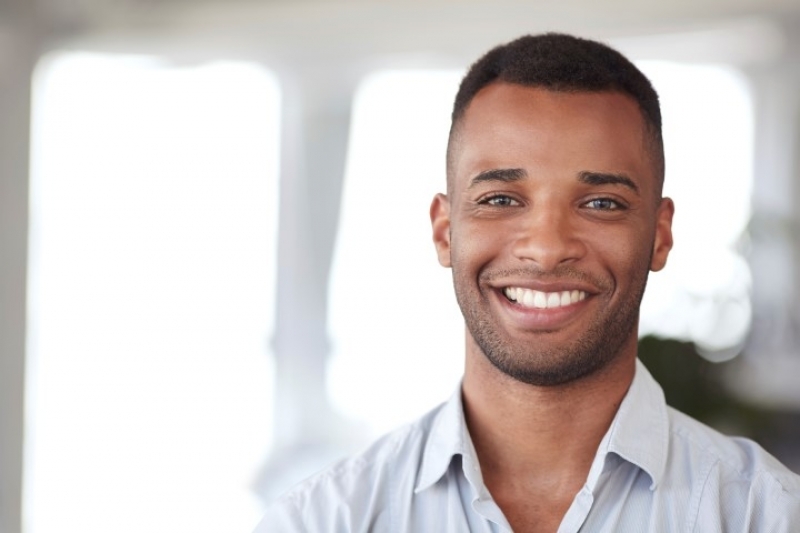 Contact us today to find out of dental veneers are right for you.